Today’s episode of Yeh Rishta Kya Kehlata hai started with:- Suwarna was too sad that Kartik cheated her. She says that i think you would not have lied to your real mother. She says you have proved that i am not your real mother and she did not tell him about his relation with Naira. Kartik tries to cool down her when he sees him in a vulnerable condition. But she turns more serious and says to leave her alone there. She asks Kartik to live his life as he wants with the Naira and does not listen to him. wishes that Suwarna forgets the all matter and forgives him. He then prays for Suwarna’s recovery and also he feels guilty for hurting her. Manish was not wanting that Suwarna should punish Kartik, as he has no any mistake and he is totally innocent. He feels bad that he wasn’t able to give joys to his son. He didn’t expect that Suwarna will reach that way. Singhanias were there fearing that Naira’s life will be crumbled once again. Kartik when searches for Naira, then he finds her gone. Manish clears him that Naira had gone to the home with Naitik. Naira gets totally broken. She recalls Kartik with her. And they both realize that how their relation had hurt Suwarna. They don’t want to lose Suwarna. Naira also doesn’t want to hurt Suwarna’s emotions. Kartik also feels very much sorry to hurt Naira. She knows that she is the very huge reason for Suwarna’s sorrows and pain. She feels very bad that Suwarna had seen them together. She then apologizes to him and decides to accept the reality. She then takes decision to divorce Kartik for the welfare of his family. Kartik apologizes to her for his words which she spoke to Suwarna. He clears her that he is not in the wish to lose her. He also doesn’t want their relations to be separated. But later he gets churned by his inner soul conflicts. Naira get this courage from Akshara and tells to Naksh about her final decision. She tells to Naksh that she doesn’t want to tell it to anyone else, but she adds that she is sure that Naksh will surely understand her state and position. Naksh also gives her promise to support her. Naksh then calls to Devyaani and asks her for that divorce papers which were already made two years ago. 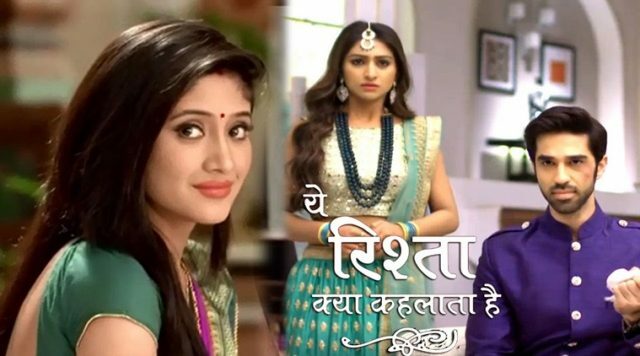 Devyaani gets trembled on hearing Naira’s big divorce decision. Naksh tells her to support Naira. Kirti wishes that Suwarna could understand this matter. Naira with Naksh plan their visit to the hospital to give them food and also to meet Kartik for his signs on divorce papers. Kirti doubts that Naksh is trying to hide something from her. Naira when meets Suwarna she cries out loudly for losing her. She says i dont want to lose you as you are my mother after Akshara and after her i dont want to lose my mother again. She adds that my life is quarrelsome because of my fate and i dont want to blame you for that. She tells that now i have decided to change the lives of everyone.